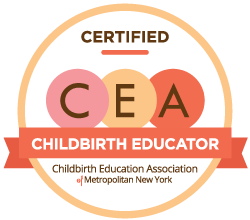 If you are interested in birth doula care, it doesn’t get much better than having a birth doula who is also a licensed massage therapist. Massage throughout labor is extremely effective natural pain relief and studies have found that it leads to shorter labors with less anxiety. Here you can find more information about Lena, as well as what our doula services include, and why to consider hiring a doula. You can also check out what former clients have said. Lena has a decade of experience attending births at homes, birthing centers, and hospitals. Contact us to schedule a free meet and greet at our office. Not sure about hiring a doula but interested in birth consultation? Lena offers private consults for expectant parents to help you clarify and write your birth preferences (“birth plan”) or help you navigate NYC’s maternity care system, understand all of your options, and determine the birth setting and type of caregiver that is right for you.